It’s the age of what people are calling the “neuro-disciplines.” It all began with a now well-known branch of medicine called neurology, the study of the nervous system, whose first registered usewas in 1681. 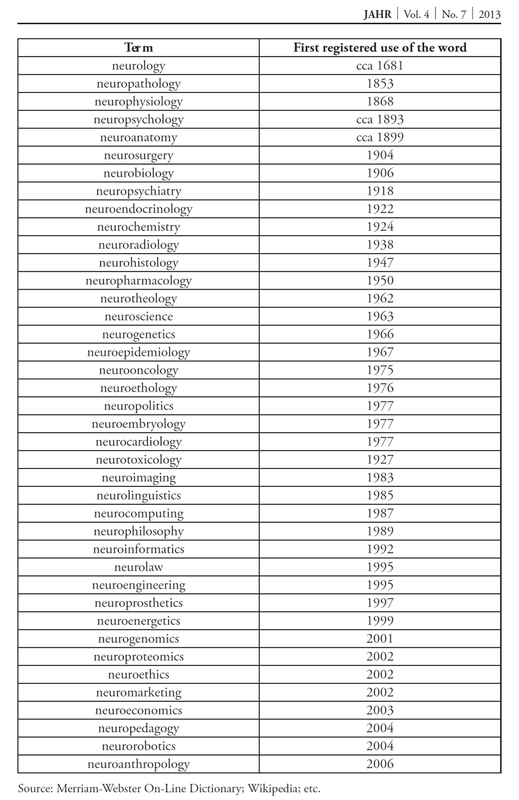 The Ancient Greek prefix has since attached to, well, just about every discipline under the sun: neurolaw, neuroengineering, neurotheology, neurophilosophy, neuroethics, neuroeconomics, neuropedagogy, neuromarketing. And of course, addiction cannot escape the long-armed “neuro” prefix as there is aburgeoning body of neuroscience dedicated to the study of need, desire, and addiction. Last month, The Fix interviewed Dr. Nora Volkow, the pre-eminent neuroscientist directing research at the National Institute of Drug Abuse. Dr. Volkow said there is “physical evidence that addiction hijacks not only the ability to feel normal pleasure, but also the very circuits in charge of exerting free will.” NIDA, then, essentially determines what is mainstream addiction neuroscience. In preparation to get the other side of the story, The Fix reached out to a number of not-so-mainstream but equally brilliant scientists and neuroscientists who are wary of the reductive simplicity—a leap from brain to behavior— put forth by an institution such as NIDA that informs drug war policymaking, what kind of research gets funded, and ultimately affects how one with addiction gets treated. In 2013, Dr. Sally Satel and Dr. Scott O. Lilienfeld co-wrote Brainwashed: The Seductive Appeal of Mindless Neuroscience. Their book is a smart, funny and cogent critique of cringeworthy headlines like, “This is Your Brain on Love,” or Pepsi, God, politics, you name it. But there is also a chapter entitled: “Addiction and the Brain Disease Fallacy,” which is a serious critique cautioning us not to overstate and/or misinterpret scientific results massaged for political rhetoric. Within the book, Dr. Satel and Lilienfeld quote from prominent policymakers and scientists who are on record saying that though they do not believe addiction is a disease, it was a practical formulation to sell it as such at the time so Congress would raise budgets. The Fix recently moderated a debate between two experts in the field who basically only agreed on this one point, that it became a disease by convenience. The role of metaphor has long been intrinsic to science. When clocks were first invented the term “biological clockwork” was coined to explain human biology. When the 1960s’ frenzy of radical behaviorism began to wane and psychologists wanted to study cognition in earnest, the brain as computer metaphor took hold. And ever since, an information-processing model of brain function has dominated the field. Though our brains are indeed electrical, the computer metaphor massively neglects the fact that the brain also runs on blood, hormones, and is embodied, meaning, the body (in conjunction with the brain) affects desire, motivation, and even cognition itself. No other computer in the known universe operates at such a complex, organic level. So what happens when we forget that metaphors, which are tools for simplification in order to help us understand knotty systems, are conflated with reality? “It warps the research agenda,” said Dr. Satel. If a research laboratory is investigating addiction, but not doing pharmacological brain research, it is extra difficult for them to receive funding, as NIDA is now a division of the National Institute of Health, which funds nearly all research on substance abuse in the United States. Satel and Lilienfeld argue “neurocentrism,” placing the brain at the center of the problem, created unrealistic goals such as searching for a magic bullet or cure (i.e., the dubious cocaine vaccination) while neglecting social, environmental, and behavioral treatments that have proven to be successful. “Changing a behavior like addiction requires addicts to work hard to change their patterns of thought and behavior,” wrote Satel and Lilienfeld. Medicine alone has been unable to do the job but that does not detract researchers at NIDA from searching for apurely pharmacological cure. Dr. Volkow of NIDA predicted by 2018, “We will treat addiction as a disease and that means with medicine.” But in her interview last month she invoked the importance and success of treatment options like meditation and mindfulness, which do not operate on the body like a pill, or any other medical interventions like implants and surgeries that one often associates with treating diseases. Take Portugal, for instance, where there has been much success with giving people who have addiction problems jobs, resources, and opportunities to re-integrate with the community. That isn’t a medical intervention; it’s a human intervention. And as Johann Hari demonstrates in his book, along with the help of Gabor Maté and Bruce Alexander, addiction has much to do with social isolation, disconnection, and trauma as well as potential faults in brain biology. To argue that the brain is not a factor is just absurd. Every muscle we move, thought we have, feeling we feel, is mediated by our brains. But it is equally absurd to argue that the brain exists solipsistically in vacuum or fMRI machine, outside of the world, unaffected by the people we meet, the places we live, and the opportunities we are afforded. Every moment, we experience changes the way our brain—and also ourselves—exist in the world. So if but one takeaway—beyond the fact that addiction researchers, clinicians and scientists are somehow fundamentally incapable of ever agreeing with each other—is how all of this noise reflects on those who have suffered or are suffering from problems with addiction. Is someone any better or worse off being told that he or she has a brain disease? Or told to leave that relationship, that neighborhood, and find a supportive community to become part of? If addiction research gets funded, do people care what “it” is called? Do the diseases we label people with affect their identities? All real question worth considering and all real questions going beyond what a simulated image of a brain can show us.